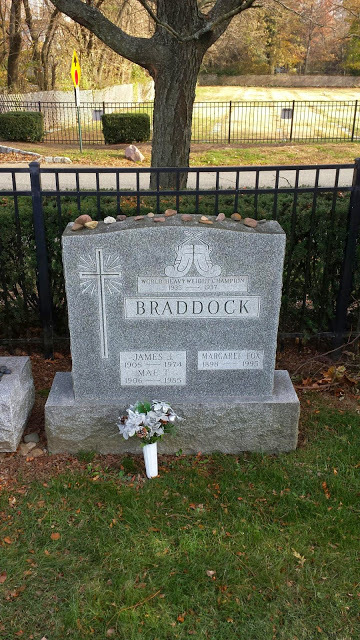 James J. Braddock was the World Heavyweight Champion of boxing from 1935-1937. The film "Cinderella Man", starring Russell Crowe, was based on his life. He is best remembered for his upset unanimous decision win over Max Baer in 1935 to win the World Heavyweight Championship. 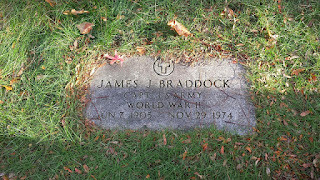 Braddock would later go on to fight boxing legends Joe Louis and Tommy Farr. The "Bulldog of Bergen" was not only a hero of New Jersey boxing fans, but also a symbol of overcoming poverty. Braddock worked and fought his way out of poverty to become World Heavyweight Champion. Braddock served in the U.S. Army during World War II, and later worked on the construction of the Verrazano Bridge in the 1960's. 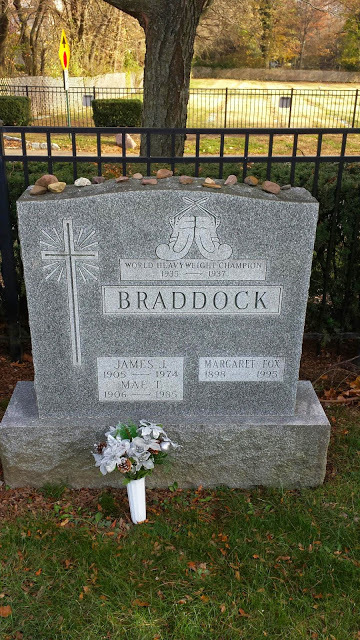 Braddock was inducted in the International Boxing Hall of Fame in Canastota, NY in 2001. 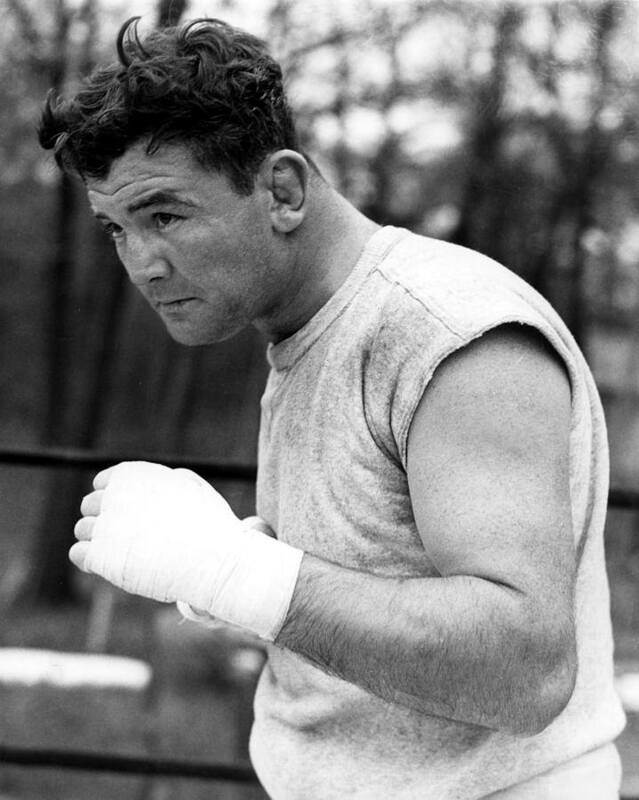 "James J Braddock earned his nickname, Cinderella Man, from his seemingly fairytale like rise from a poor local fighter to the heavyweight boxing champion of the world. Braddock, born in New York City, had a powerful right hand and a successful amateur career. He turned pro in 1926. Braddock had victories over fighters like Jimmy Slattery and Pete Latzo. Braddock fought light heavyweight champ Tommy Loughran in 1929 for the title, but was defeated in a heartbreaking 15-round decision. 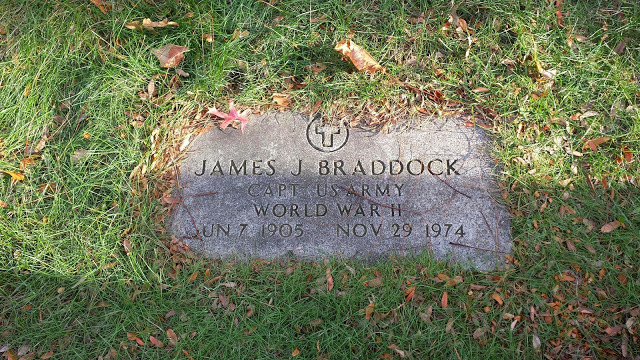 Following the Loughran fight and the stock market crash of 1929, Jim Braddock was down on his luck. He had a hard time struggling to win fights and put food on the table for his young family. Eventually Jim's luck began to change. In 1934 he had upset wins against Corn Griffin and John Henry Lewis. With these two wins, Braddock set himself up for a shot for the title against heavyweight champion Max Baer.